Valve has promised Steam for the PS3, a move that most certainly piqued the interest for most of us who love the platform on the PC. Today, Gabe Newell announces quite a few interesting morsels as he talks about the game that’ll bring Steam to Sony’s HD platform, Portal 2. Steam’s current iteration allows PC and Mac players to play together via SteamPlay, with the introduction of Steam for PS3, it’ll allow PS3 players to enter the fray for free. All they need to do is link their PSN and Steam accounts. Aside from allowing cross-platform multiplay, SteamPlay also means that you only need to buy your games once and you get to play it on the platform of your choosing be it on the Mac or PC. Oh, having SteamPlay also allows you access to persistent cloud-based storage of game saves. Pretty neat huh? More information about SteamPlay is available here. And what’s probably the best news of all (if you didn’t get it in the description of SteamPlay above), is that purchase Portal 2 for PS3 can unlock a Steamplay enabled copy of Portal 2 (PC & Mac) for free (after connecting your Steam account to your PSN account of course). 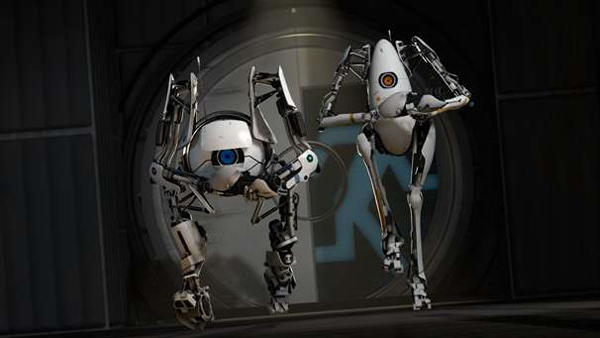 Portal 2 releases on April 18 in the US and April 22 in Europe for PS3, 360 and PC. Portal 2 project lead Josh Weier added: “We designed the Portal 2 PS3 experience to be very straightforward for gamers.